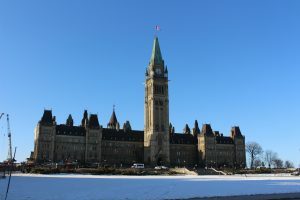 Far from being a “kerfuffle,” the opposition from faith-based and other groups to the Canada Summer Jobs has become a real headache for the Government of Canada. On March 19, 2018, the government was required to vote on the Opposition’s motion to allow all applicants to apply without having to attest to believing in the government’s ideology. Voting got underway at about 6:45 in the evening. Attendance in the public gallery was conspicuously sparse. As for the press, only three reporters were present. Clearly, in the minds of many, this was a non-issue. But for the hundreds of applicants who could not sign the government attestation this was (and is) a big deal. However, it was a foregone conclusion that the government would use its majority to easily defeat the Opposition’s motion, and it did. The final tally was 93 in favour of the motion and 207 against. 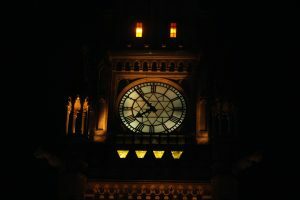 Yet, despite the appearances of near unanimity on the Government side of the House, the vote did cause some soul searching for several Members of Parliament. 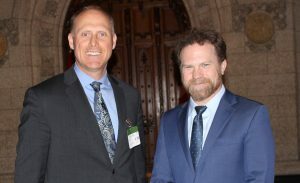 Newfoundland MP, Scott Simms, no doubt caused some of his fellow Liberals a twinge of doubt as he made his lone vote against the party’s position. In conversation with reporters after the vote he said that he informed his whip of his decision and was treated with respect. 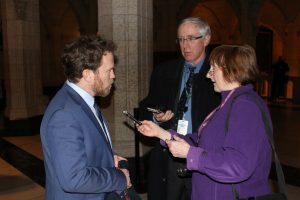 When asked if he will suffer consequences, he stated to the effect that “that is to be seen.” Whatever the repercussions, based on principle, he could not vote in favour of compelled speech – even though he supports the Prime Minister’s pro-abortion policy. Simms was not the only Liberal who was conflicted. After roll call was taken Ontario Liberal MP John McKay slipped out of the House and did not vote. Mr. McKay is pro-life and in the past supported Canada Summer Jobs funding for Campaign Life Coalition in his riding. Given his many years of experience as a sitting MP since 1997, Mr. McKay is noticeably absent from playing a major role in the government. One cannot but speculate that is due to McKay’s pro-life position, from which the current Prime Minister has taken pains to distance himself. It has got to be a struggle for Members of Parliament when faced with their party’s demand that they vote against their conscience on such basic concepts as freedom of expression. How Simms and McKay will fare in the coming days or weeks because of their refusal to vote with the party will be worth watching. Bloc Québécois’s married couple, Xavier Barsalou-Duval and Marilène Gill, who made history as the first married couple of MPs to have a child while in office, also voted in favour of the opposition motion. Joining them was fellow Bloc Québécois Mario Beaulieu. The sole New Democratic Party voice in support of the motion was Hamilton MP David Christopherson. National Post reported that Christopherson also wrestled with his conscience. “I wrestled with it, of course. You don’t vote against against your own caucus lightly,” Christopherson said. “To me, at the end of the day, that box took away Canadians’ right to disagree with the laws that they have to obey. I had a very strong, fundamental problem with that. And just abstaining wasn’t good enough.” One cannot but admire such a principled position. Not surprisingly, there were no Conservatives who voted against their own motion. The motion was aimed at ensuring that all Canadians are free to live by their conscience; and that charities who may not share the government’s ideology can still carry out their work of looking after the homeless, welcoming refugees, providing camps for children, or caring for the elderly. 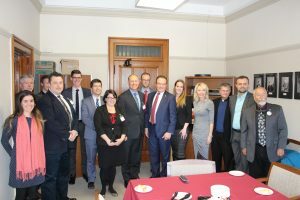 Andrew Scheer’s office held a reception for the stakeholders as representatives of the local religious community were on hand to see the vote. As I sat in the gallery watching the vote take place, I was troubled by the seemingly nonchalant expressions of those who voted against the motion. Perhaps my reaction is to be expected from someone who has been wrapped up in this debate since it began just before Christmas 2017. Every day my office receives a number of calls and emails from our 3400 members who are concerned about the government’s apparently callous attitude towards their deep spiritual commitments. They were told to simply “check the box” as if words didn’t matter. The fact is, words do matter. Words have meaning. Words have power. What I witnessed last night in the House of Commons is precisely that words, and particularly the words in the current attestation, do matter. They matter so much that over 1400 charities would rather forego government funding than be compelled to express words that violate their conscience. Crucially, the words in the attestation require applicants to sign on to the government’s ideological position, without mentioning exemptions in Human Rights legislation that allow groups to operate lawfully according to their beliefs. Nor do they acknowledge that the Supreme Court of Canada has issued judgments that recognize the right of Canadians to hold alternative views and freely express them. In short, the wording of the attestation remains unacceptable. Yet, I did not leave the House of Commons dejected. I left emboldened. Emboldened to continue to press the cause of liberal democracy. We, the religious community, have been thrown into an ideological maelstrom not of our making. We simply wanted to carry out our charitable work, but the powers that be wished to push the abortion button that created an “us” and “them” divide for partisan purposes. That is wrong. We will not accept the situation, and we will push back until the government recognizes that on matters of ideology its role is to persuade, not compel. In a liberal democracy, access to government funding and licensing should never be subject to having the “correct” opinion. That is a sure road to despotism and we have seen enough of that in world history! The government is free to set its funding priorities based on activities, but not on beliefs. I recognize that not all of the religious community has been upset by the CSJ attestation. Some, based on their conscience, agree with the government’s ideology. However, this battle is not about whether we concur with the government on abortion. It’s about being forced to endorse opinions that are not our own. We cannot let this go. To give up now would be to lose our right to think and express our views. This issue is not over. It remains very much alive. Thank you so much. Praying. Well written Barry. Thankyou for putting into words what we believe. Thankyou for holding the torch high and staying on top of this critical issue. Your work in CCCC is very valuable and as Christians, we need men and women of faith and integrity to speak on our behalf. Don’t lose heart – thousands of Canadians are behind you. I take offence to anyone saying, ‘Just check the box.’. To simply ‘check the box’ gives little consideration to the integrity of the organization applying for funding. If this was someone in political power making this statement, I can understand why our respect for elected officials has eroded to the place it has today. I have watched some of Question Period and can only liken it to a comedy routine or small children having tantrums. The next election will indeed allow me my right to decide and I will ‘check the correct box’. What are the chances of this issue going all the way to the Supreme Court of Canada? I hope it does. Thanks for your dedication to this cause Barry and your unflagging efforts to represent us and our concerns in what seems to be a disturbing trend in our increasingly secular society and government. We must not give up the fight! I encourage all to continue praying for Barry, CCCC as well as the Conservative Party members and those of other organizations who are clearly in our court.